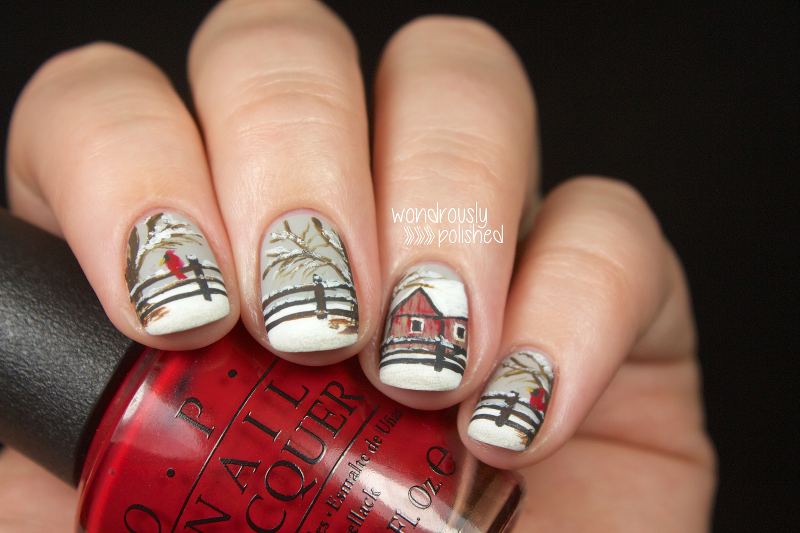 Oh my goodness, have you visited Wondrously Polished before? If not, get on it. Lindsey is amazing. I had the pleasure of meeting her through the Digit-al Dozen and she's as sweet as she is talented! 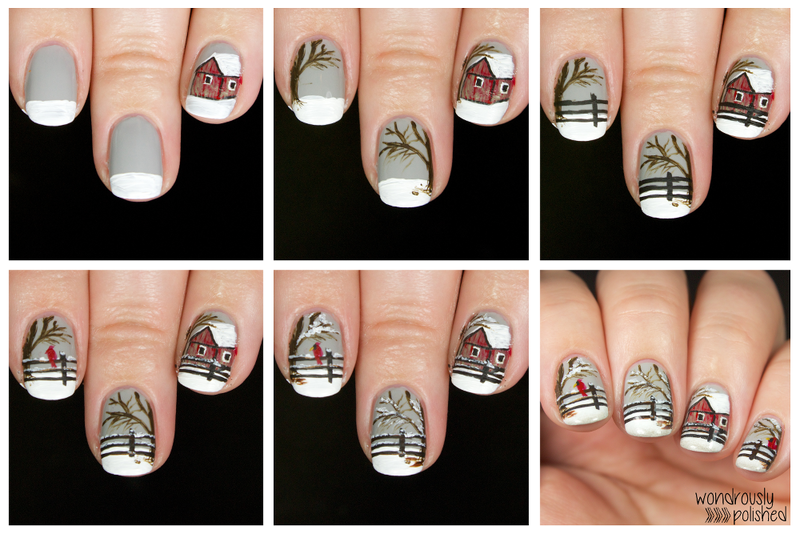 She started her blog in November of 2012 and has consistently produced amazing nail art from day one. 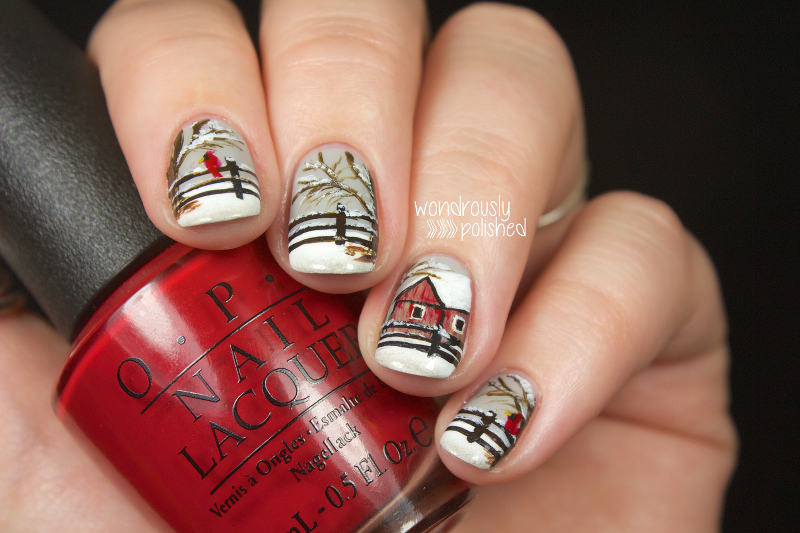 I love her short, clean, well-manicured nails and perfect photography too! I'm so glad she accepted my invitation to post during this guest series. Thank you, Lindsey! 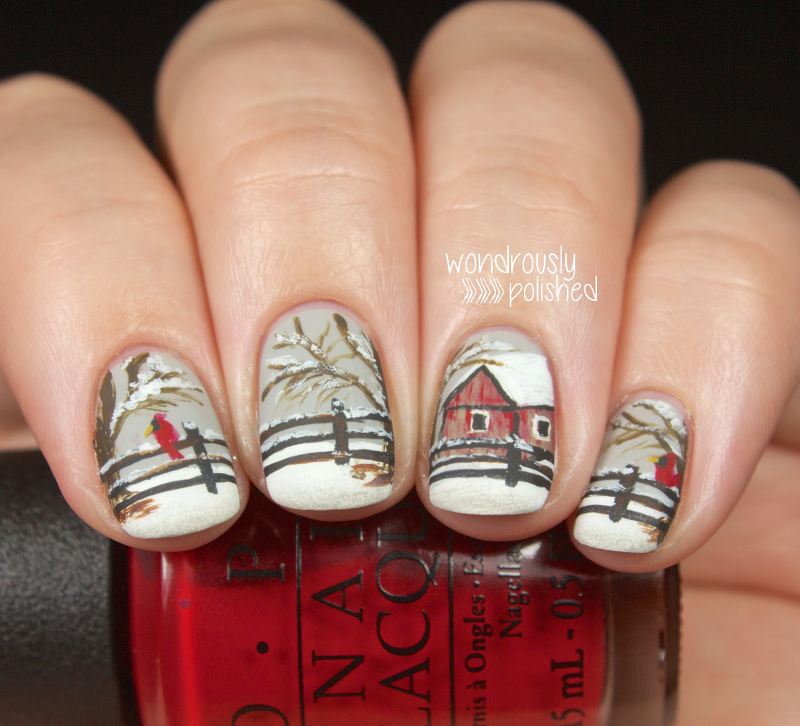 Lindsey's beautiful winter scene is worth another $10 from me to the Polished Girlz! If this is the first post you've read in the WPP "Blogging for a Cause" Guest Post Series...pop over to the intro post here to see what an amazing organization each of these bloggers are supporting with their participation. Hello, all! I want to start with a huge thank you to Leslie for this wonderful opportunity to share my nail art with you all, but more importantly, for donating her time and resources to such an amazing cause! So, I'm not going to lie, having Leslie ask you to do a guest post is incredibly intimidating! After accepting, I immediately started stressing/brainstorming about what I was going to do. I've been really into painting scenes that span all of my nails lately and my first instinct was to do something along those lines for today. Leslie's only request was that I do something festive for my post, and while these aren't explicitly "festive", I think that the wintery scene evokes the happy and content feelings that I experience during this festive time of year. Hopefully I didn't stray too far from the theme with this look! I used Zoya's Dove as my base and did all of the art with varying detail brushes and acrylic paints (acrylic paint gives me a bit more control of my line work than polish does). I've been on a bit of a "cardinal in snow" kick lately and couldn't resist putting a few of them in this scene. If anyone is curious, I actually remembered to take photos during the major steps of this look so I compiled a little graphic with the breakdown. Again, thank you so much to Leslie for this opportunity and thank you to all of you, the readers, for taking time out of your busy lives to check out my post! 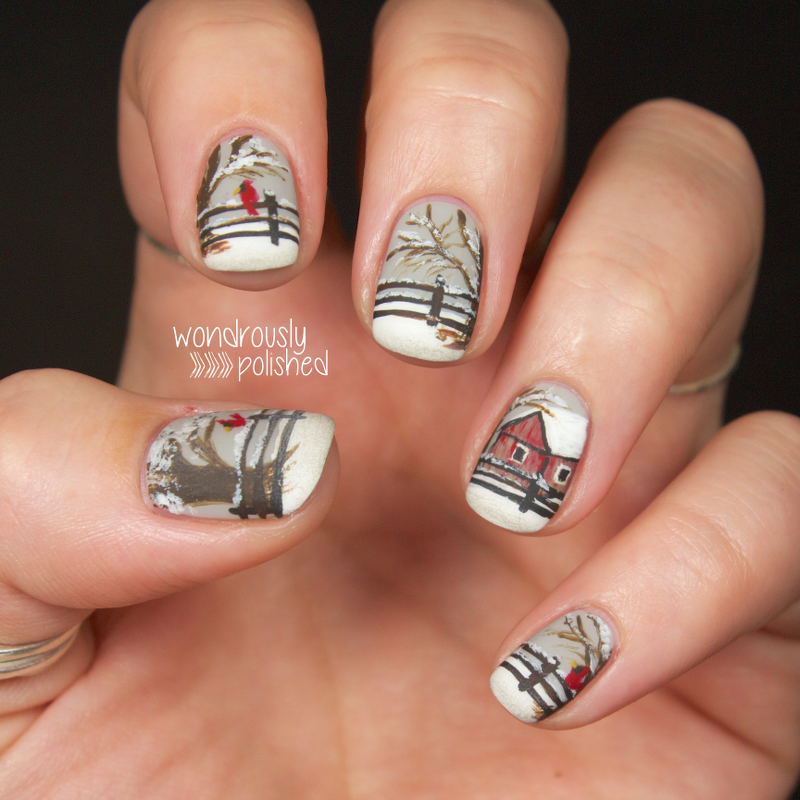 See more amazing Wondrously Polished nail art by visiting her on the web!